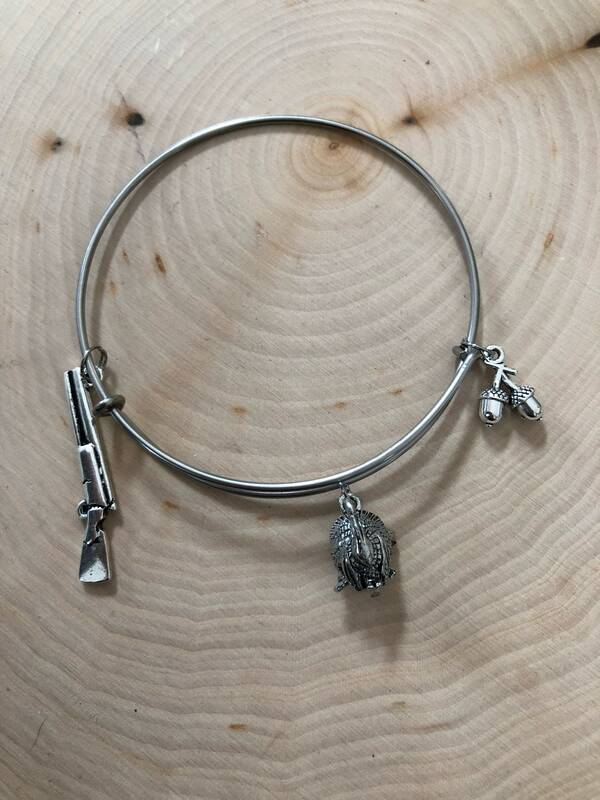 Bangle bracelet with turkey charm, shot gun charm, and acorn charm. 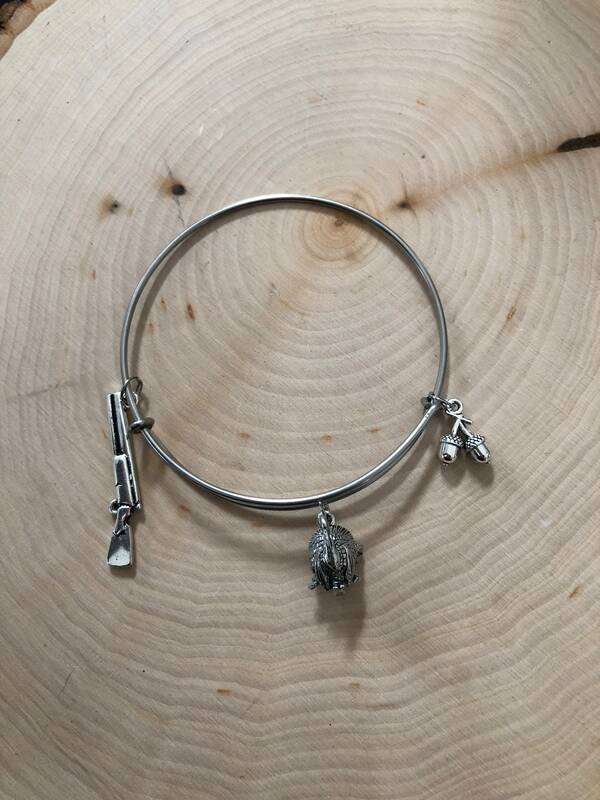 Size: Bangle wire is about 1.5mm diameter. 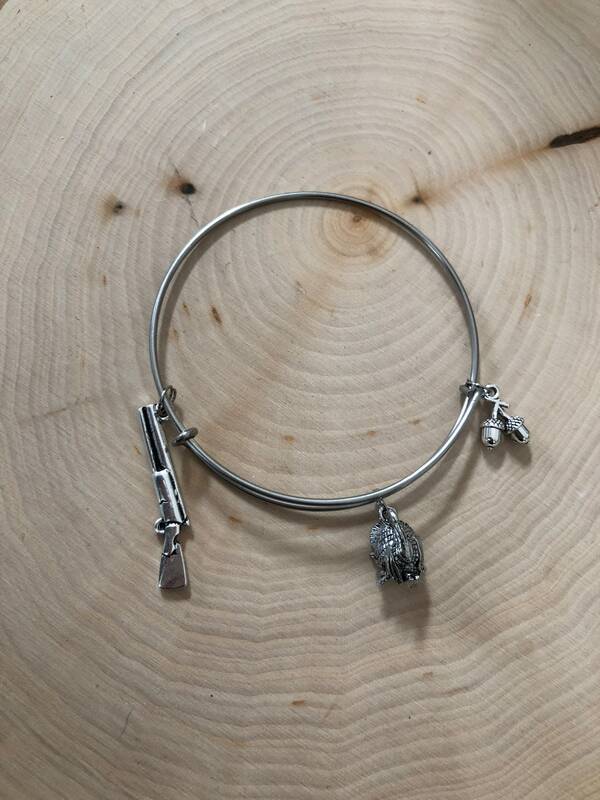 Bangle is adjustable to fit most wrists, bangles pop open and pop closed to stay on wrist. They are silver plated. Care: Do not wear while washing dishes, taking showers, swimming, or putting wrist in water for any length of time. 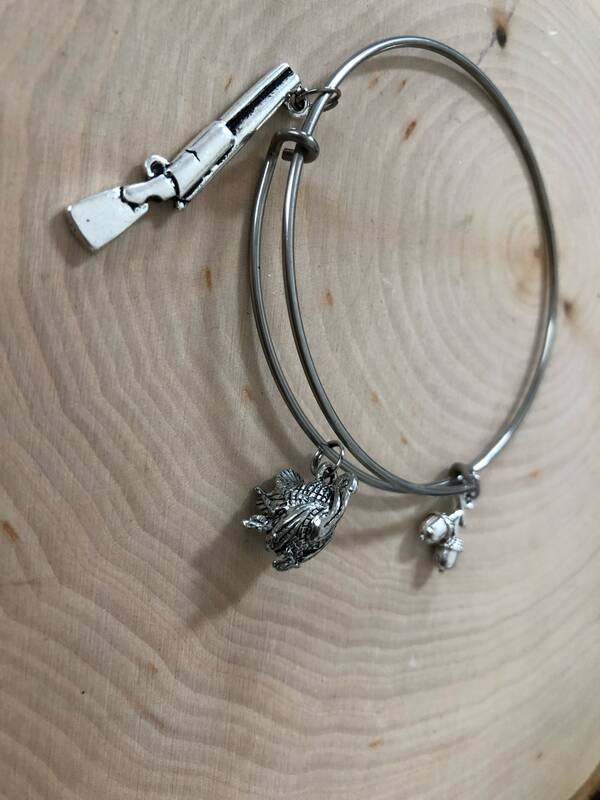 Polish like you would any other silver. 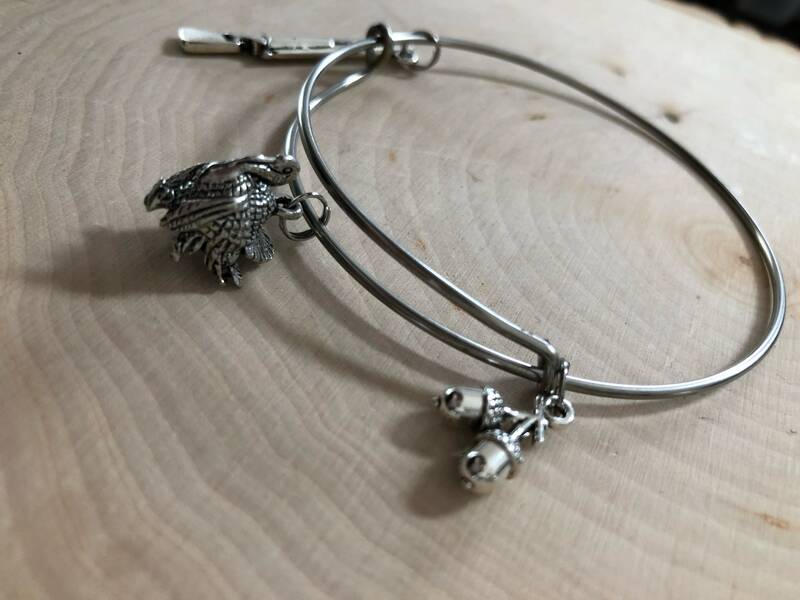 Bangles will tarnish like other silver over time. 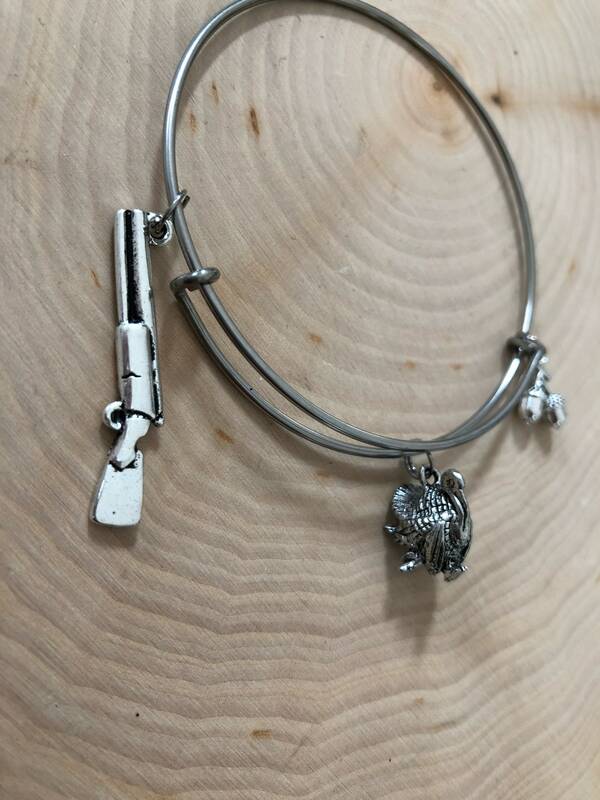 Charms are also plated in silver, care is the same.